I had the proud honor of chairing the 46th Annual American Society of Journalists and Authors Conference (May 5-6, 2017) in NYC (check out all the fabulous posts on twitter using hashtag #ASJANY17 and also follow @ASJAhq). 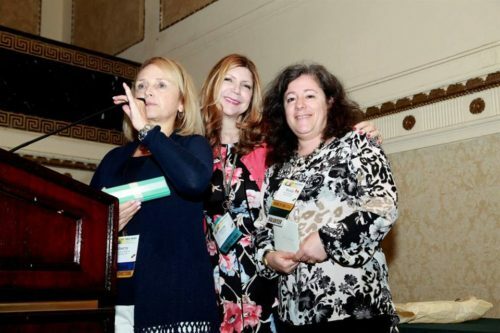 It was six months of nonstop planning, connecting with editors and agents, identifying and vetting speakers—inside and outside ASJA— and working with a volunteer team as well as the staff, led by Executive Director, Holly Koenig, and board president-Sherry Beck Paprocki to build new innovations and incentives into the conference for the attendees. It ended up being 46 sessions and four keynote speakers, over 2 days. I believe that you grow from your experiences, and my volunteer role chairing the conference—which had over 500 attendees, and encompassed over 200 volunteers—was a hugely fulfilling experience. Here is what I learned, plus a few tips I can share. 1) ASJA is Ripe with Talent: Seasoned members, newbies, or mid-career veterans of the organization all have ideas, experiences and wisdom to contribute. I tried to populate member’s day with the organization’s members. Although I vetted everyone who contributed to the content or programming of the conference, ASJA members with their ready video clips and speaking experience made it easy. TIP: If you want to start speaking at conferences, it’s important to get some video clips of yourself in action. 2) Facebook is a Fantastic Sponsor: We have to thank Facebook and its Journalism Project for sponsoring the overall event at our Awards night and for their ongoing commitment to professional writing. 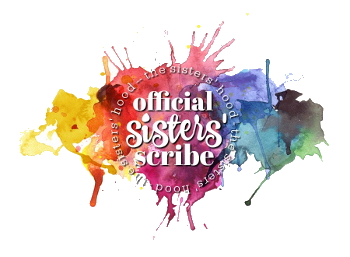 I now am doing Facebook Live spots on publishing on my newly verified page, which I am also sharing on my verified twitter page. TIP: Do Facebook Live on your page, but start small. 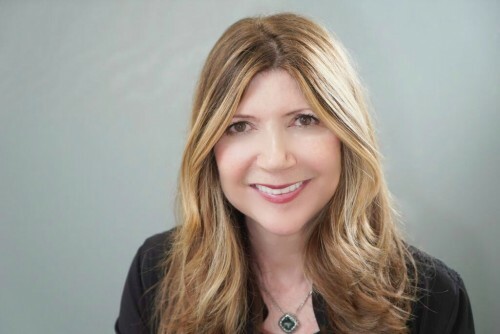 As Lisa Sharkey, Senior VP HarperCollins who has her authors do them at BookStudio16 said in her session on “Facebook Live: the Future of Author Promotions” at the conference, All you need to start with is a smartphone. You need more than five minutes of content, in order to attract your live audience, there in the moment for your Facebook Live presentation. This clip, which is very early in my FB Live-ing and in which I talk about the tips I gave as a writing coach in my “How to Pitch a Hit “session at the conference, has already gotten over 1000 views. Here is my second one on Personal Essay writing (need to turn the camera back to vertical) , and now I will be doing them every Wednesday at 11:30 am ET on my Facebook Page. 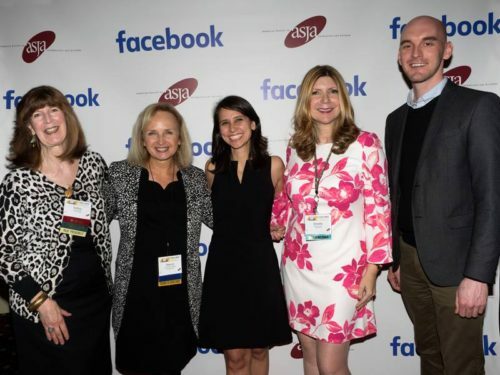 Here is the ASJA Facebook page, which you need to follow. 3) Network Your Way to the Top There were more than five editor-centric panels at the conference, and most attendees took the time to stay and try to connect in person with the editors from publications like Quartz, Woman’s Day (print), Family Circle (print), AARP (print), Wired, Rollingstone.com, Parade, The Washington Post, Brain, Child, Atlantic’s CityLab, and more. TIP: Always carry business cards and if the editors don’t have one, ask for their twitter handle. Then you can follow them on twitter and retweet as necessary. 4) Have a Support System or a Wing Man or Woman When I go to conferences (generally to speak at this point in my long career), I usually make sure that a friend is attending as well. In lieu of that, I attend something very early in the conference that encourages networking. We had that at Jenny Blake’s fabulous talk, based on her book Pivot, on Saturday. Lane Shefter got the crowd going helping to figure out their Loglines on Friday, member’s day, and we also had subject area roundtable discussions and a new member’s meeting. TIP: If you get a buddy to join you, you can switch off taking notes at different sessions and then exchange them. As chair, I couldn’t attend all the sessions, but had friends taking notes for me. But make sure to attend the keynotes. Besides Jenny and Lane, we also had Vanessa Hua give a presentation on using journalism techniques in writing story and Andrea King Collier on the WOKE and Sustainable Writer. 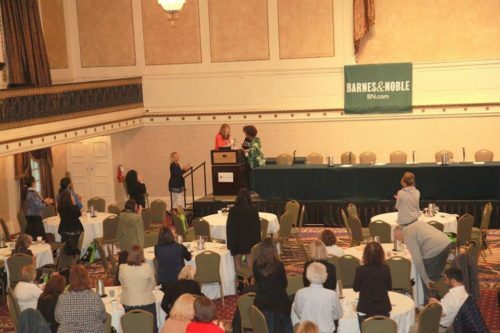 Andrea receiving a standing ovation after speaking. 5) Follow-Up with Your Contacts and Editors In the session “What Top Assigning Editors Want You to Know”, editors said they encouraged follow-up. As a former magazine editor-in-chief myself, you get in a cycle of publishing an issue, and then resurfacing to see what you missed, and that often applies to email as well. TIP: Don’t send an entirely new email each time. Take the prior email, and forward it with a new note, but take out the FWD in the subject line before you resend it. Agents are looking for writers with built-in platforms. 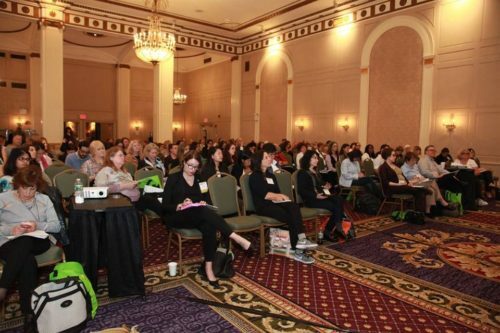 I learned a lot from attending and speaking at conferences like BlogHer (where I am a 3x BlogHer Voice of the Year award winner), and what I learned is that bloggers are ahead of many writers when it comes to building their platforms. 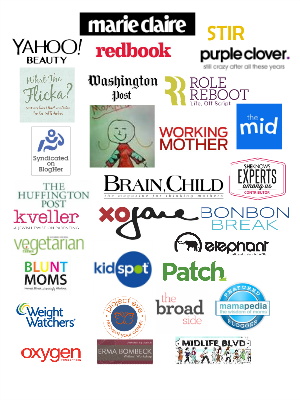 So I invited Nicole Feliciano of @MomTrends to talk about how writers can work to curate content on Facebook and twitter, and Beth Feldman of @BeyondPRGroup to talk about how to get PR. TIPS: Become a local expert on TV and radio stations, before you go national. It will be a good training ground. Also, follow influencers and authors you admire on twitter and then follow their followers. You will see who and what is of interest to them. Never believe that food doesn’t matter. It does. As someone who needs protein in the morning, I was delighted that at this conference we were able to provide attendees with a hot breakfast, and ASJA plans to continue that going forward. We also added a granola bar into attendees gift bags, and on awards night members and honorees got to feast on delicious steak and tapas (that shrimp was insane) plus a cocktail, at the reception sponsored by Facebook. TIP: ASJA provided breakfast, and NYU sponsored coffee breaks, but I always recommend carrying snacks and water bottles with you (so you can refill as needed). As the theme of the conference states, it was easy to Pivot. Publish. Prosper with the tools and networking of the conference, and I’m so glad I had the opportunity to chair it. 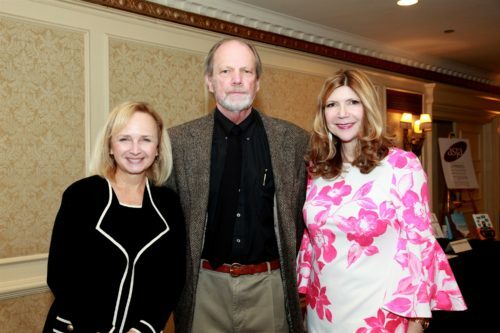 With Sherry and Wendy Helfenbaum, who chaired Client Connections with aplomb on Member’s Day. What was your top takeaway from the conference? If you are not an ASJA member are you planning to join? Congrats on chairing the conference and I love all your tips. I still have to get up the guts to do a Facebook live. Thanks Rebecca. You must try it. They are so much fun. I’m hoping to be there next year. Thanks, Doreen. Glad you had friends looking out for you. Sounds like a fab conference! Those tips are wonderful to incorporate into numerous other social occasions that we attend that can help our brand. Absolutely, Ellen. It’s all about maximizing resources, isn’t it.